Robert N. Golden, a founding partner of Golden, Rothschild, Spagnola, Lundell, Boylan, & Garubo, retires. | Golden Rothschild Spagnola Lundell Boylan Garubo & Bell P.C. Robert N. Golden, a founding partner of Golden, Rothschild, Spagnola, Lundell, Boylan, & Garubo, retires. 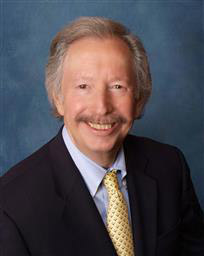 Robert N. Golden, a founding partner of Golden, Rothschild, Spagnola, Lundell, Boylan, & Garubo, retired as of January 31, 2015, after fifty years as an attorney. Mr. Golden will continue as Of Counsel for GRSLB&G. He is a 1962 graduate of the University of Florida and received his law degree from the University of Florida in 1965. He is admitted to practice in New Jersey and Florida. Mr. Golden started his career in January of 1966 with the law firm of Wharton, Stewart & Davis in Somerville, New Jersey practicing criminal and civil litigation. He represented such clients as Johns-Manville in the New Jersey Workers’ Compensation Courts. He was then appointed by Governor Hughes as an Assistant County Prosecutor. In late 1968, he joined the predecessor of GRSLB&G. Mr. Golden did an extensive amount of civil litigation until the early 1980’s at which time he devoted his practice exclusively to Workers’ Compensation. He represents employers, insurance carriers, third party administrators and self-insureds in the defense of Workers’ Compensation claims. He has handled many appeals and enjoys Appellate work. In 2008, Mr. Golden received the Jack O’Brien Award for lifetime service from the New Jersey State Bar Association. Mr. Golden has had a distinguished career as an attorney and we congratulate him on these achievements and his retirement.